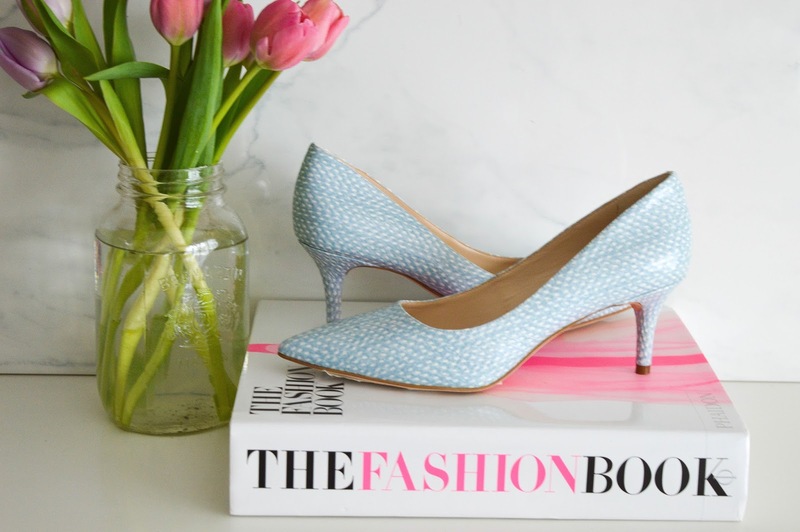 If you're like me and have fallen in love with Pantone's colour of the year Serenity then these Margot pumps are for you! This is a classic pointed toe with a mid-heel that is very comfortable to walk in for long periods of time. This heel height is my absolute favourite for work. The blue and white print almost has a gingham affect which adds to the feminine flair. 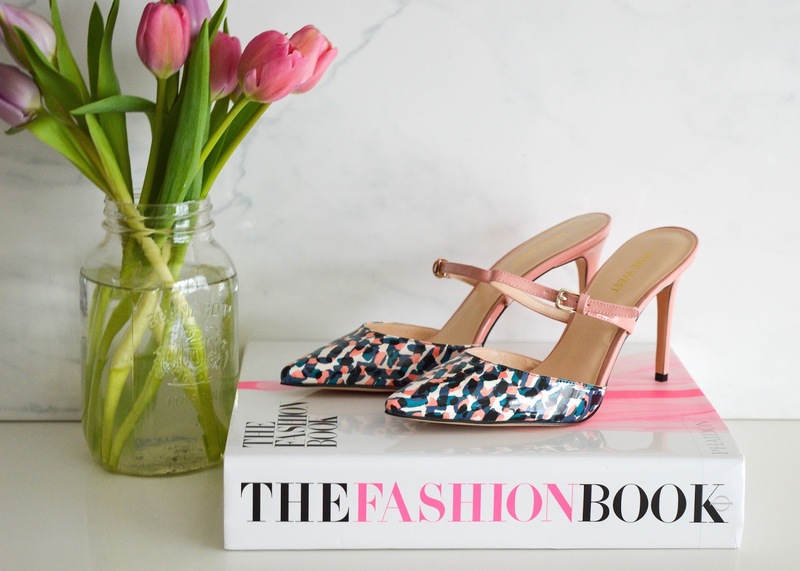 One very hot trend for Spring is a slide pump with a cross strap. The strap hits just at the bridge of your foot for an extra added detail. 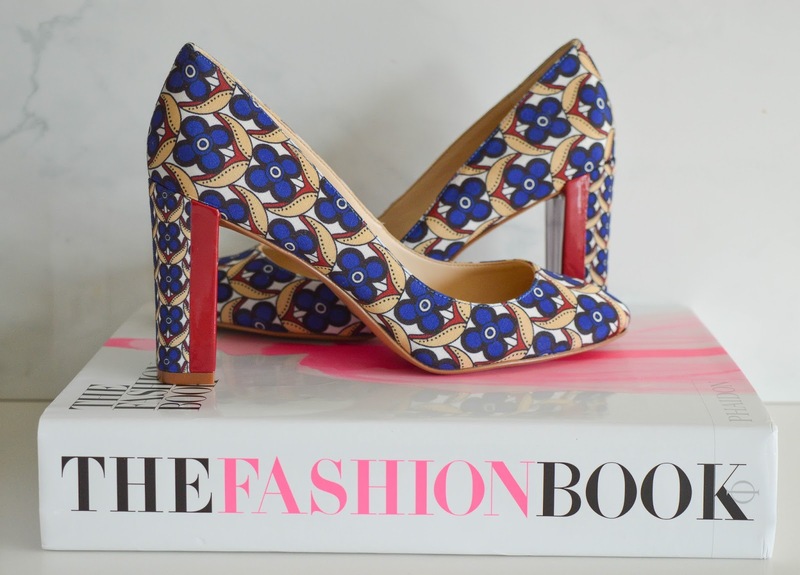 These Tiessa pumps come in a variety of prints but this multi coloured print has a floral touch that I fell in love with. Oh how I love the colourblock! 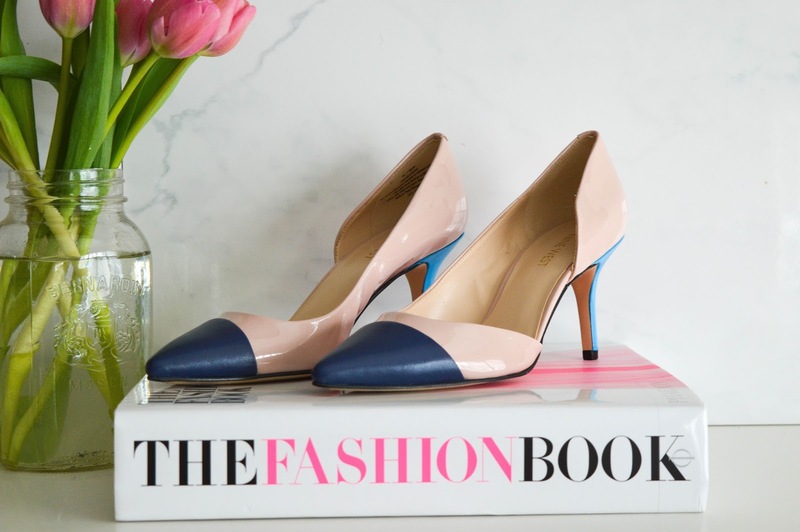 These Kyriah pumps are a little blush, a little navy and a whole lot of statement. Again, these shoes have a low heel which makes them fantastic to walk in. Be still my heart! Look at the print on these platforms, the clover inspired print is so '70's but with a modern touch. Ok, I know you are wondering if these are comfortable, YES YES YES! Don't let the height of these scare you away, the platform makes these so easy to walk in, and I want these in every print and solid available. 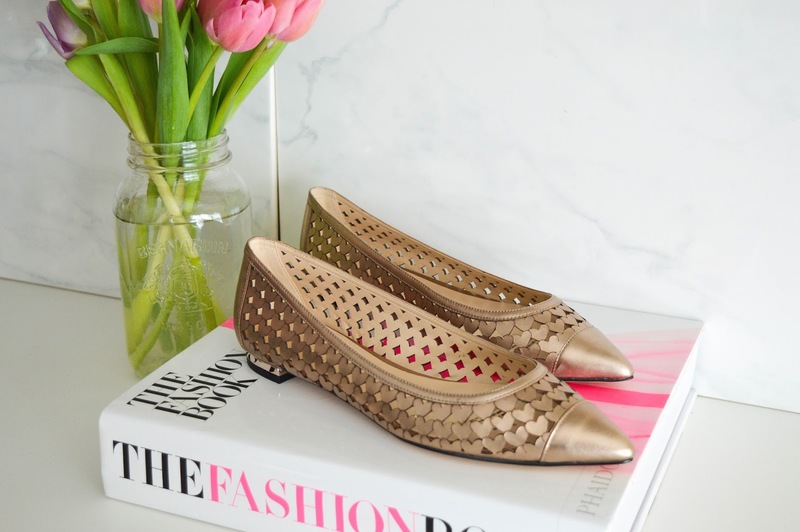 A perforated flat with hearts.... yes please! 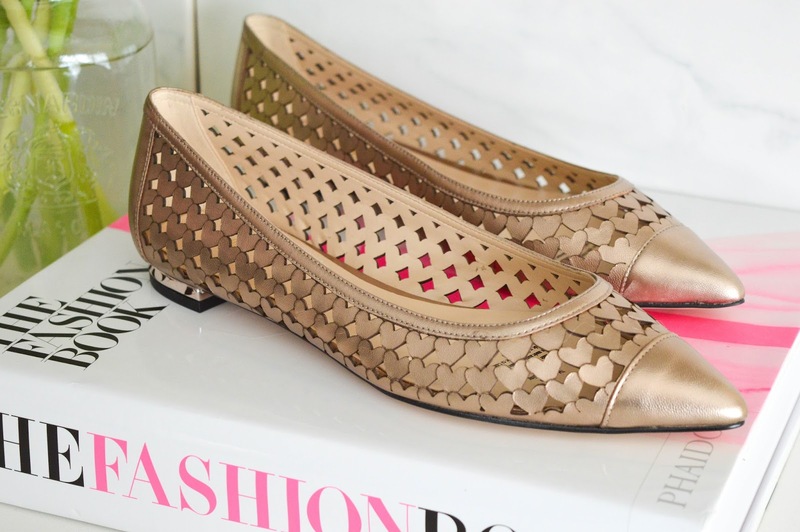 This Ashling shoe comes in a variety of colours but of course the metallic bronze really enchanted me. 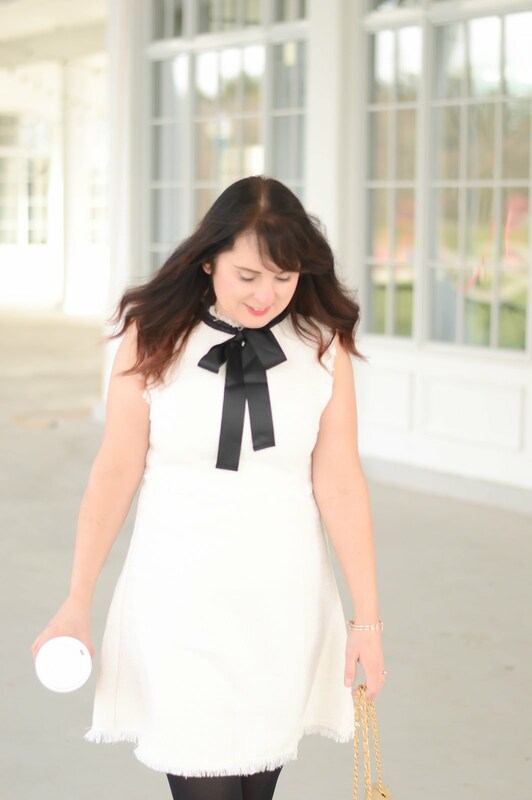 The heart detail is so pretty and feminine and this shoe is the perfect classic style. I know I already showed you this fabric, but I was literally stalking the Nine West site until these became available. The block tall heel on these really sets these shoes apart. This Fabrice style is a perfect day shoe that gives you extra height but doesn't compromise comfort because of the block heel. 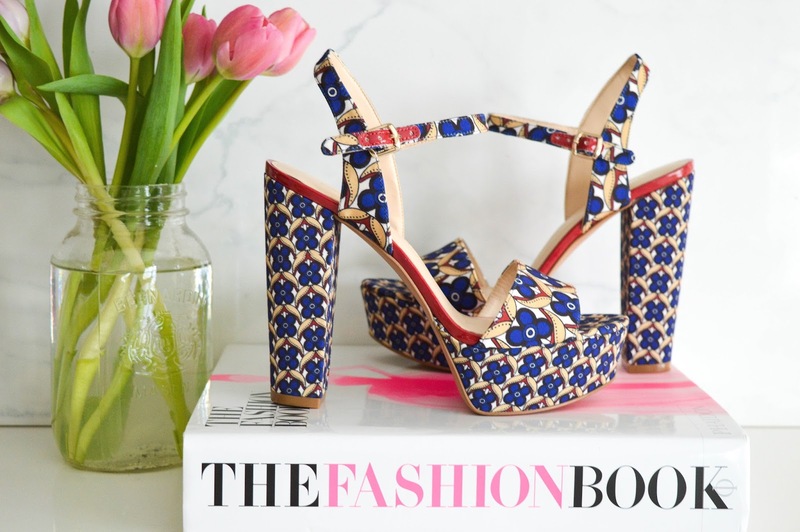 I have been waiting for block heels to make a return and through this last year it has been great to see this heel trend gaining popularity. Last but not least is this fantastic Nine West collection blue clutch. The flower detail is stunning and if you are getting married this summer this would be a perfect 'something blue' to add to your day. If you are a wedding guest or have a special event this clutch is the perfect added touch. Oh and just released are the matching Balada sandal with my fave block heel. 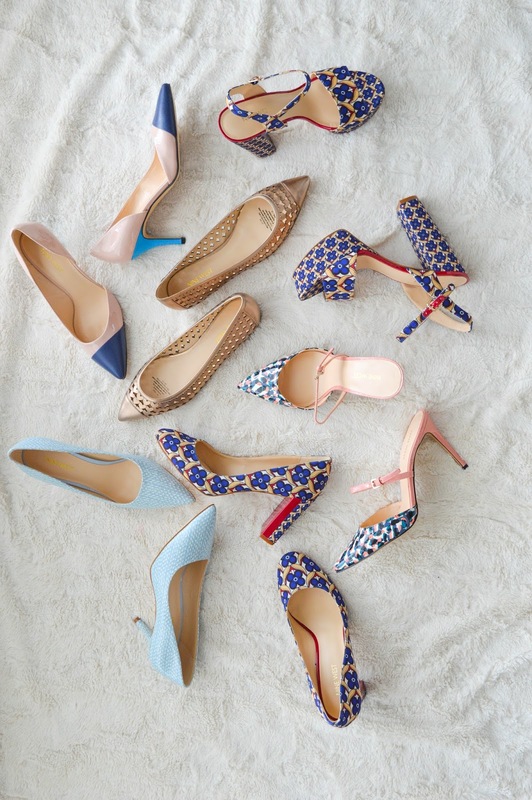 Which one of these pairs have captured your attention? Let me know in a comment.